Don’t talk to me about work – how would you answer these questions? This might be the new catch phrase for managers who have employees out on the road. In our hyper wired society, the mobile office just became a little more complex. Does your organization have a comprehensive driver safety policy in place? Scenario number one, Joe is a driver for a a company that delivers medical equipment to customers homes. He is on his cell phone with the office as they are trying to dispatch another drop off to him, when he “accidentally” runs into the rear end of a vehicle at a stop sign. Scenario number two, Jenna is on her way from the airport to the hotel in a rental car in Boston in her first day of a week long installation she is doing for a customer. She is on her cell phone with her boss confirming the contacts and versions she is installing when she “accidentally” hits a pedestrian. Scenario number three, Howard is the office manager of a large law firm, from time to time he runs errands for the firm in the ordinary course of business, and he is running an errand for a partner when he is struck “accidentally” by a distracted driver and killed. Each one of the scenarios pose questions for companies, risk managers and underwriters, which stress the need for a defensive driving course. Ask your self these questions if you are the SVP of HR in each of these scenarios… Was the employee having a “work” related cell phone conversation? Did the accident happen during work related hours or in course of the employees employment? Is the employee allowed to spend company time running errands in a personal vehicle for company purposes? Does the company have a cell phone and driving policy in place? Is it in writing? Is the employee in violation of this policy? Have they been before and it was not addressed? In all three scenarios, a company could be found negligent or liable for injuries, property damage or loss of life. 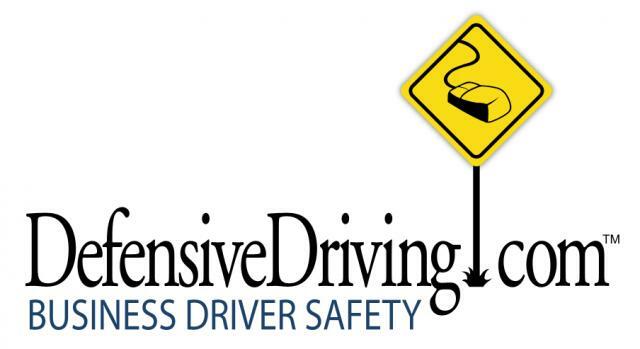 While DefensiveDriving.com’s fleet driver training does not guarantee you will not have accidents, is corporate driver training program is an essential part of educating a safe employee driving workforce. The establishment of a comprehensive driver safety policy, which includes the ban of cell phones (which must be consistently enforced) while driving, along with a company driver training program help an organization minimize risk, especially when there is potential for these types of scenarios to take place. Let DefensiveDriving.com help you today in establishing a driver safety program as part of your overall driver safety policy.